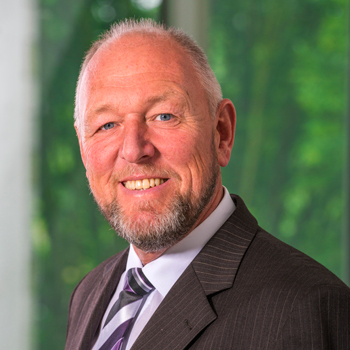 IKV develops course concepts and media for training and further education in plastics processing. 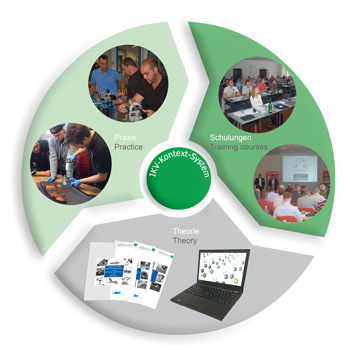 The courses are currently offered at 39 plastics training centres located all over Germany, attracting more than 20 000 participants on average each year. More than 100 instructors hold the training courses, which comply with IKV standards, in the plastics training centres. The instructors themselves receive further training from IKV on an ongoing basis. The work of the Training and Further Education Department is certified to ISO 9001:2015. The Training and Further Education Department transfers current developments in plastics processing to small and medium-sized companies. Taking up the innovations that emerge from Research & Development and the plastics industry, courses and information brochures are prepared promptly and in an educationally meaningful manner for the skilled crafts. The nationwide network of plastics training centres implements the courses developed by IKV with the aid of the IKV Context System. IKV acts as the central coordination office here, providing the plastics training centres with advice and specialist support. The IKV Context System is reviewed and further developed each year by the quality management system in force in the Training and Further Education Department. Both the instructors and the participants rate the IKV Context System as “good” to “very good”. The presentation of the specialist knowledge in a readily comprehensible form ensures that this always constitutes an attractive and efficient training tool for small and medium-sized companies.